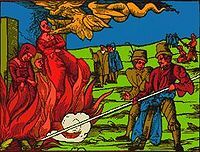 We are making history by identifying the Thought Terrorists (TT), the Witch Hunters and Book Burners who aid the Witch Hunter Generals to kidnap, incarcerate, abuse, and torture their victims without recourse to civilized law. 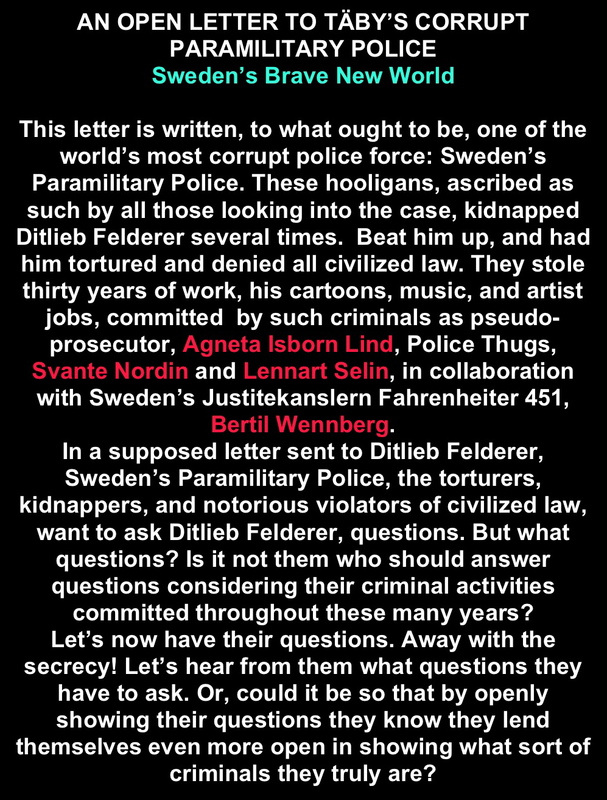 Thus Witch Hunters and Book Burners, Svante Nordin, Lennart Selin, and Bertil Wennberg are identified and now have to explain themselves before a world public where political corruption and manipulation are out of their reach. Thousands of records were stolen by these police under false and fabricated charges. Family records, photos and historical items were stolen by these Thought Terrorists (TT), under lies and threats, using fanatical religion as pretext of their brave behavior in Book Burning. But where did all these stolen items go? What happened to them? Who burned them up? Where? We continue our search for the bewitched material.